The follow up to when people find out we were on House Hunters is…how did you get on House Hunters (right after they said I love House Hunters). The answer is pretty simple…I wrote a short 4 to 8 line paragraph about who we were, where we lived, what we were looking for in house/ condo and the potential twist involved. For us the twist was that Ashley (my wife) was our real estate agent/ broker and I was an awesome entrepreneur and together with our cat ‘Jack’ run a popular cooking blog The Seattle Cook. I emailed Pie Town productions who actually produce the show for HGTV. 30 days later they were up in Seattle filming our episode. The shoot was 5, 10 hour days (we choose this option). Now the logical next question people ask is, “Isn’t the show fake?” My answer is NO. Prior to getting on House Hunters we must have looked at 30 houses and about 20 condos in our price range and target living areas. When we knew we were going to be on the show we narrowed the search down to the 5 properties we really liked. By time the production company came up and started filming we were pretty set on 3 of the properties. Turns out during production one of the properties got an offer, the other turned out to be a short sale and the final one…the condo we ended up choosing luckily worked out. Obviously…there are varying experiences of other House Hunter participates; and I can only comment on ours. 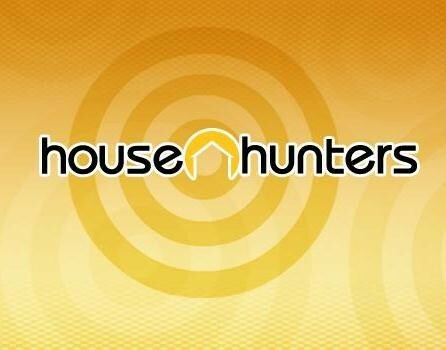 But to answer the question How to get on House Hunters…keep your reason for being on the show short and sweet. Enjoy your 3 minutes of fame. Its a fun party!